Just Contemporary Romance: Being the Chef for A Country Singer Is THE Best Job Ever! Being the Chef for A Country Singer Is THE Best Job Ever! So, hi there! I’m Ava Miles, the new contemporary romance writer who burst onto the scene with her book NORA ROBERTS LAND, which kicked off my acclaimed Dare Valley series. Now, I’m delighted to announce the first book in a connected series called Dare River, set in the deep South, titled COUNTRY HEAVEN. 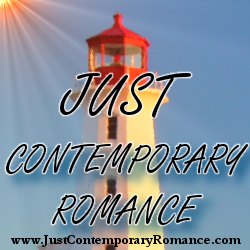 Thanks to Just Contemporary Romance for hosting me. My heroine has it good, and I mean real good. Tory Simmons lands a job as the private chef of bad-boy country music singer, Rye Crenshaw. Of course, she couldn’t care less about his stardom. She doesn’t even like country music, preferring to listen to classical music and NPR. But this job? Well, she’s the ONLY person on his personal tour bus as they traverse the great ol’ US of A for his multi-city tour besides the bus driver—something most women would kill for. Yet she’s not really interested in Rye. She took his job offer because she’s swimming in debt over family medical bills and a house she just can’t sell in this down market. And he’s a handful. No two ways about it. But she has a plan. Tory believes in food’s magical qualities. That it can turn a sour mood into a happy one and vice versa. Boy does Rye need some help with that. He’s all down in the dumps after a recent PR debacle went bad. Really bad. Little does she know that he not only hires her for her incredible food—the best he’s ever tasted—but also to improve his image. She’s the girl-next-door, you see, and he’s sure his fans will believe him when he says the whole PR thing was a big misunderstanding. She concocts food designed to sweeten his disposition, anything from chocolate pancakes to mile-high lemon meringue pie. And the man savors every bite, and from her station in the tiny tour bus kitchen, it’s hard not to…well, notice just how hot he is. Then there’s the sorrow he’s carrying over his family, the secret of which blows her mind. 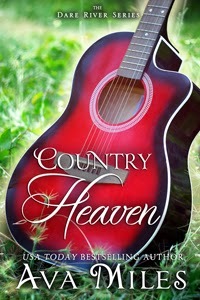 So, check out COUNTRY HEAVEN and see what I’m talking about. I wrote thirteen country music songs for the novel and included over a dozen personal and family recipes (I used to be a private chef myself). But I got to thinking. Back when I was a private chef, what country singer would I want to cook for if I could choose anyone? Well, Tim McGraw is the top of the list because he reminds me of Rye, but I’d include Brad Paisley because he strikes me as such a funny guy. What about you? What country music star would you choose? Come on. Tell me! USA Today Bestselling Author Ava Miles burst onto the contemporary romance scene after receiving Nora Roberts’ blessing for her use of Ms. Roberts’ name in her debut novel, NORA ROBERTS LAND, which kicked off The Dare Valley Series and brought praise from reviewers and readers alike. Much to Ava's delight, USA Today Contributor Becky Lower selected it as one of the Best Books of the Year. Ava continued The Dare Valley Series in FRENCH ROAST, which Tome Tender says “raised the entertainment bar again” and then THE GRAND OPENING, which reviewer Mary J. Gramlich says “is a continuation of love, family, and relationships.” The next books in the series, THE HOLIDAY SERENADE, was met with high praise and her ode to the early 1960s, THE TOWN SQUARE, what she calls Mad Men in a small town with a happy ending, melted reader’s hearts. Ava based her original series on a family newspaper, modeled after her own. Her great-great grandfather won it in a poker game in 1892, so Ava is no stranger to adventurous men and models her heroes after men like that—or like Tim McGraw, her favorite country music singer. Now Ava shares the Dare River series, set in the deep South, telling the story of a country singer and a beautiful cook. A former chef herself, Ava used her culinary background to infuse the story with family and personal recipes, but she also used her love for music to write country music songs to set the stage in the novel, creating a unique book experience. Ava—a writer since childhood—now lives in her own porch-swinging-friendly community with an old-fashioned Main Street lined with small businesses. Glad to see you here, Ava! Great post. I LOVED this book (5 stars) and am trying out the recipes in this book. And the lyrics to the songs bring the romance alive.